Baan Hat Kham in Luang Prabang is reachable via a 2.5 hour drive north of Luang Prabang and a two hour boat ride further north up the river Nam Ou. Baan Hat Kham has no paved roads, no electricity, and no indoor plumbing and is home to 54 Highland Lao Khmu families with a population of 307. In July 2010, Jai Lao won $20,000 from the Chase Community Giving Contest on Facebook with the votes from our Facebook fans. With those winnings, we paid it forward and asked our fans to identify villages in Laos in need of a school. The winning village was Banh Hat Kham. 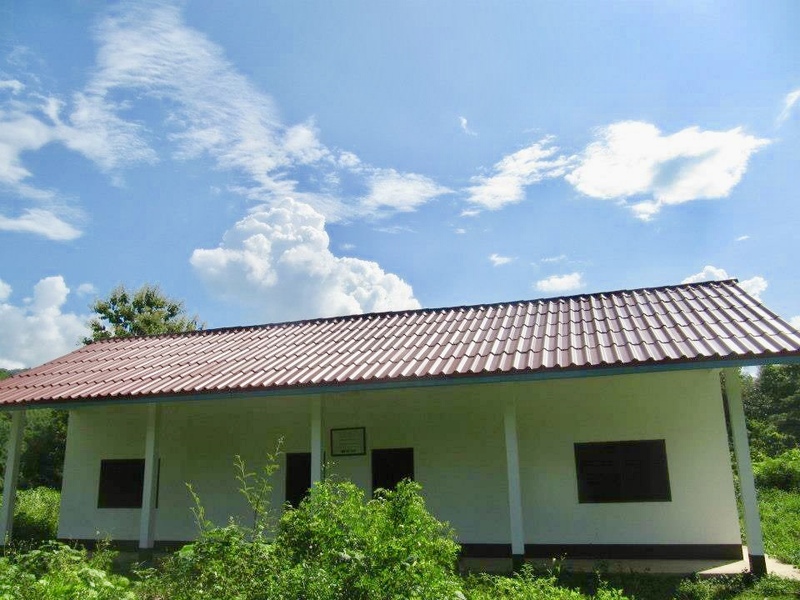 In partnership with Steve Rutledge, founder of Adopt a Village in Laos, a Canada-based non-profit organization, acting as our project manager, Jai Lao funded the building of a two-room primary school for 49 students in grades kindergarten to third grade. The school was completed in November 2011 with a cost of $12,000 including two bathrooms. In connection with the school's hand-over ceremony, Jai Lao also provided families with personal hygiene kits, blankets, clothes and winter gloves and scarves to help during the cold winter months.